Our program makes insurance affordable and easy! We represent top rated food truck insurance companies. Submit one application & we’ll help find the best price & coverage options. As required by most commissary kitchens, events, etc. email, call, or fill out our online form for your COI. Fast and no additional charge. Our zero deductible plans give your food truck legal and claim protection, without being out of pocket. Our insurance policies cover your food truck for collision, theft, vandalism, weather, and more, regardless of the location. Insure My Food was designed by an insurance agency that “gets” food trucks. We understand the challenges and needs of your business and are committed to supporting the food truck community. We know you don’t have time to spend on long applications, or agents who don’t understand your business. Not only do we insure in almost every state, We represent many different food truck insurance carriers and can shop the best fit for your business for cost and coverage options without any sales pressure. Amazing! I shopped around, and by far they were the most knowledgeable about insurance for food trucks! They made the process so EASY. What I appreciate the most… they are equally responsive following the signing of the policy! I highly recommend! We are entering our third year with you guys, and you have provided superb service. I also like the wealth of food truck industry information available via links on his website and FB page; great for newbies and those looking for guidance! They are always quick with an insightful reply to my email queries as well. 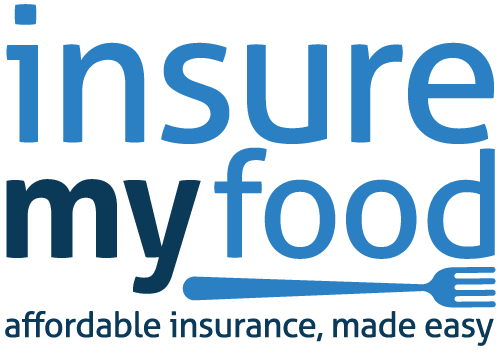 My experience with Insure My Food has been the best. Why? Fast and accurate help, along with reasonable prices and efficient service make my business easier to run. Fine job folks! Running a food trailer can be fun, rewarding, and sometimes overwhelming with the number of hats you have to wear as a business owner! Insurance is probably the last thing you want to think about, let alone pay for. However, it is an integral part of any successful business. At a minimum, you will need general liability insurance as required by vendors such as commissaries, landlords, or events. You’ve poured countless hours and money into your mobile food business, why not take the steps to ensure you’ve properly protected your investment? How much is my food truck worth? We'd like to thank our clients for generously providing the photos used on this website.